KonMari – Learning Financial Planning from Marie Kondo! So, as watching TV is not my thing, when I recently came across “Marie Kondo” and a discussion of “KonMari” in a blog post about IRA’s, I did NOT have any context. Thank heavens for Google. 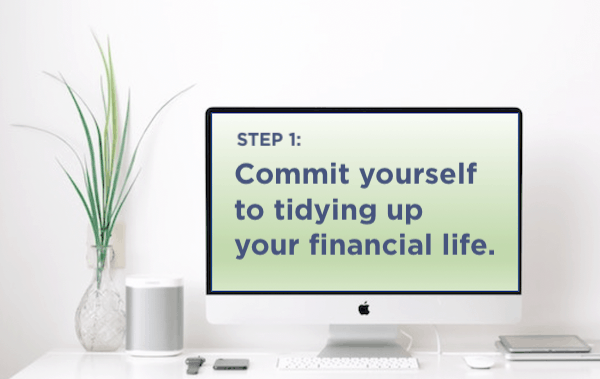 Commit yourself to getting organized in your financial life. Establish your goals as it relates to faith, family, friends and fitness. Stop spending money on things that are not aligned with your goals. Fully understand your spending in each area of your life. Take control of your cash flow, insurance, estate planning, taxes, education planning, charitable giving, and investments. Ask yourself if having your finances aligned with your faith, family, friends, and fitness makes you more joyful. Money is nothing more than a tool to be used to support you in the other areas of your life. However, without a structured, disciplined process to deal with your finances, you are likely going to have a mess in your house. No one will ever confuse me with Marie Kondo. However, I hope at least a few people that read this will recognize that bringing order to the chaos of your finances is critical to living a life of significance.